Commitment to abstinent recovery – we are, and have always been, focused on total abstinence and lifetime recovery for our clients. Inclusiveness – we will assess anyone addicted to alcohol. Responsiveness - we will treat each client as an individual, responding to their diverse needs and delivering personalised support. Integrity and Professionalism – at a corporate and individual level we want all our work to meet the highest level of the legal and ethical frameworks of all the professional and regulatory bodies under which Mount Carmel and its staff practices. Value for Money – it is our aim to offer the very best outcomes at an affordable cost to individuals, Local Authorities, and any other clients. Public Service Ethos – a not-for-profit organisation targeted at maximising clinical success rather than bottom-line profit. Independence – our sole concern is the success of Mount Carmel and its clients – we have no financial or other interests beyond these. Mount Carmel is a registered society under the Co-operative and Community Benefit Societies Act 2014, and is regulated by the FCA. It is a not-for-profit organisation, operating for the benefit of the community. HMRC views Mount Carmel as a charity for tax purposes (HMRC ref XR69487). Mount Carmel is governed by a Management Committee, which operates with the legal rights and responsibilities of a Board of Directors. All members of the Management Committee are non-executive and take no payments. A number are graduates of Mount Carmel. 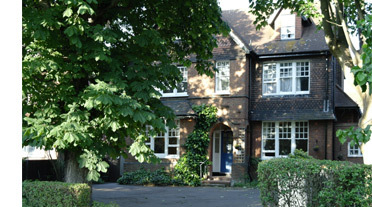 We are a listed provider with the NTA and contribute to NDTMS (National Drug Treatment Monitoring System), and are registered as a Care Home with the Care Quality Commission (CQC). Under GDPR (the EU General Data Protection Regulations) an individual has a number of additional and augmented rights compared to previous Data Protection regulations. Mount Carmel intends to uphold these rights, unless there is an overriding legal requirement otherwise. We will always seek to have a ‘lawful basis’ to hold each item of personal data on an individual. These include fulfilling a contract or service (e.g. employment), satisfying legal compliance (e.g. for donors) and having a legitimate interest (e.g. sending details of job vacancies to people who have previously applied for employment). Where none of these is relevant or reasonable for an individual we will ask for explicit consent to continue storing or using each item of personal data. The rights provided within GDPR are to know what data we store, on whom, how we collect and how we use it. In addition an individual has the right to access, rectify, erase, restrict the use of, object to and request transfer of, their personal data, the right to stop any direct marketing contact, the right to withdraw consent (where consent is the lawful basis used), the right in some cases to prevent a decision based solely on automated processing, including profiling, and the right to complain to the Information Commissioner’s Office (ICO). Who do we collect data about? Mount Carmel collects and stores personal information about individuals for the purpose of providing alcohol rehabilitation treatment. This includes our staff, volunteers, and students (counsellors, therapists, other roles), clients and trustees. We obtain information about you when you use our website for example, when you contact us about our services, to make a donation, to work in partnership with us in any capacity, to volunteer or work with us, to fundraise, or if you registered to receive one of our regular e-newsletters. This data is collected when you contact us via our website, email, letter, telephone, social media, or in person. Our website uses Google Analytics which is one of the most widespread and trusted analytics solution on the web for helping us to understand how you use the site and ways that we can improve your experience. These cookies may track things such as how long you spend on the site and the pages that you visit so we can continue to produce engaging content. For more information on Google Analytics cookies, see the official Google Analytics page. How do we protect the data we collect? In order to protect the data we collect we have many technical and physical measures in place to provide reasonable protection against loss, misuse, unauthorised access, disclosure, and alteration. These measures include but are not limited to firewalls and data encryption. Note that a separate policy covers information related to our clients. The information we collect and store is all provided directly by the individual concerned and stored in physical files. Some information is also kept electronically. All physical files are stored securely in locations which are only accessible to relevant staff, and all electronically held data is held on secure servers or encrypted files. Contact details and marketing preferences are held within our MailChimp account from which we may email general updates, updates about Mount Carmel and information relevant to appropriately selected individuals. Please contact Cherry Alyahya, our appointed compliance officer in respect of our data protection activities, on 020 8769 7674 or info@mountcarmel.org.uk in the first instance. You will receive a response within the timescale required by the GDPR. Note that a separate policy covers information related to our counsellors, therapists, other volunteers and students. If you apply, or are referred, for treatment with us we will request that during the referral and subsequent admission process you provide information that enables us to assess and process your referral, manage your treatment and evaluate the service that was provided to you. This includes details of previous treatment, current doctor’s practice or health centre, ongoing medical treatment and medication, details of your mental health, contact with mental health professionals, your addiction history, family and relationship history, and other information that helps us to assess your suitability for the treatment we offer. During the course of treatment data will be collected for counselling notes, risk assessments, care plans, and all other relevant paperwork required in order to provide safe and effective treatment. We collect this data on the legal basis of legitimate interest . We will also request your email address for the purpose of keeping in touch with Mount Carmel’s news and updates, following successful completion of treatment. This will be requested on the legal basis of consent, which you can deny or withdraw at any time. The information we collect and store is all provided directly by the individual concerned and stored in paper files. Some information is also stored electronically to enable treatment to be set-up, progressed and evaluated, for quality monitoring and for statistical purposes. All paper-based files are stored securely in locations which are only accessible to our counsellors and staff. Electronically held data is stored on secure servers for which authorised access is granted to individuals based on job role, or encrypted files. · We share client data with other professionals involved in your care. We would share data with e.g. your care manager in order to be able to carry out the agreement of your placement with us. · We would share data with other professionals e.g. your lawyer or employer based on your consent, which you can deny or withdraw at any time.